Challenging, yet accessible to all levels. Prepare to flow through a series of postures, linking movement and breath. Each class is unique to the teacher - mine blends modern insights into core strength and alignment with Ashtanga yoga. Jessica teaches in the Hatha Yoga tradition with an expressive Vinyasa style. For the benefit of her students she layers in Therapeutic and Restorative poses and movements. 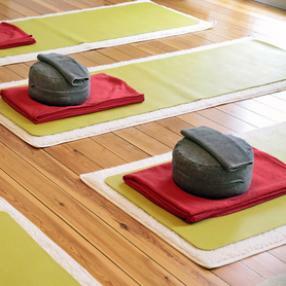 Every class begins with quiet breathing to help nourish relaxation and build a connection between mind and body. Following the breath, movements are added through all the major joints and the practice begins to unfold. Each practice opens up opportunities to let go and find ease on the mat, in the pose and in ourselves. 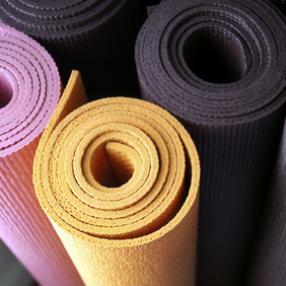 A seamless combination of classic hatha yoga with longer held yin yoga poses. This Yoga practice incorporates elements of Ashtanga Yoga, Bikram Yoga and Power Yoga with work on the hips and abdominals. 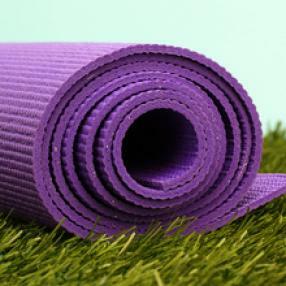 It is a fast paced, aerobic yoga incorporating yoga philosophy. If you like a good physical workout and you like to sweat, you’ll love this Yoga is performed in a heated room for 90 minutes. It stretches and strengthens every muscle, ligament, tendon and joint in the body. It works the cardiovascular and circulatory systems, massages your internal organs and stimulates the nervous system while dabbling in yoga philosophy along the way. 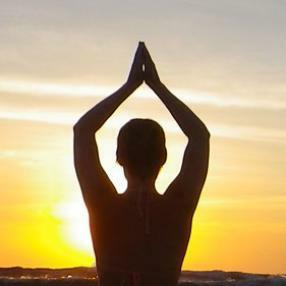 Hot Yoga brings the body into balance, regulating appetite, sleep and mood disturbances. While promoting relaxation- it increases focus, concentration and will power and it gives great strength and Yoga revitalizes and heals the mind, the body and the spirit. Explore movement and breath through a variety of sequences. Classes are taught at a moderate pace and modifications are provided to create a sequence for any age or ability level. Classes are taught at 105 degrees Fahrenheit. All Levels - Participants new to Iyengar Yoga welcome. Participants work within their own capacity, whatever their level. Our journey touches on finance, health, and spirit. Transform mundane life sequences or the danger of overwhelm to a joyous, cosmic life balance. Seven sessions engage series of asanas (yoga postures) that open and balance each of the body's seven chakras (stations on the energy wheel), resulting in the physical and mental focus and strength. No yoga experience required. Session three: Power of Will (chakra 3). Suitable for all levels, this is a dynamic, fast paced hot yoga class that will explore seated postures, the warrior poses, arm balancing and inversions. Come prepared to sweat and be inspired! Classes are different from week to week.